As an unbiased, self-contained business, we offer specialised pet services in a clean and welcoming environment to make your pet feel comfortable. Based in Great Linford, Milton Keynes, we pride ourselves on employing friendly and knowledgeable staff who really care about your pets. 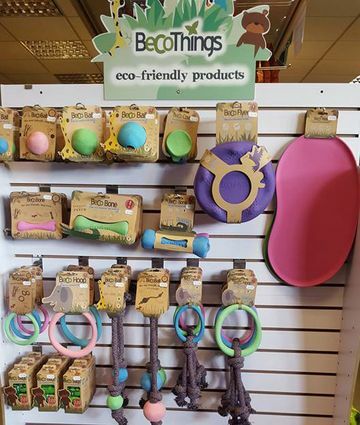 At our pet store, we stock accessories of the finest quality including toys, beds, treats, and pet food for dogs, cats, garden birds, chickens, and other small animals. Our team of professionals offer excellent independent advice based on a lifetime of experience in animal welfare and pet-keeping. As a dedicated family-run business, we take the responsibility of the welfare of your pet as seriously as we do for our own. Constantly working towards sourcing new products for our business, the majority of our range of products is tested on our own pets or family or friends’ pets before they go on our shelves. At Fido & Felix, we made a conscious decision not to sell animals as we prefer to focus on pet care and the promotion of animals’ well being. There are so many pets in rescue centres that we didn’t feel it was appropriate to sell them and contribute to this problem. However, we will gladly point you in the direction of local rescue centres that have hundreds of adorable animals looking for homes, due to no fault of their own. 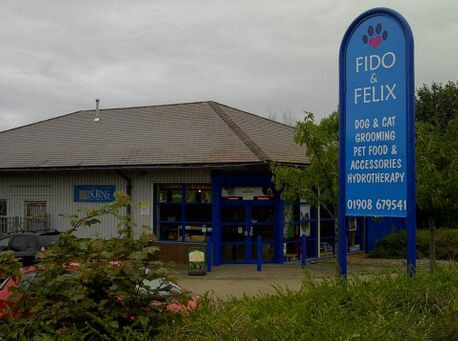 Contact us in Great Linford, Milton Keynes, for more details about our range of pet services and products.